Originally created as an artist book (edition of 10), The Journey of Bees was inspired by the relationship humans have had with bees over the centuries. In ancient Egypt, men would place the hives on boats and sail down the Nile to allow the bees exposure to different plants. Similarly, in Palestine the hives would be placed on the backs of camels and taken to orange groves at night. Although cities are growing and societies are becoming more insulated from the natural world, the placement of beehives on top of city buildings shows a return to surrounding ourselves and working with nature. Birds over Adelaide: View from Schulz Building is inspired by the constantly changing skyline of Adelaide and the numerous cranes and construction sites currently seen in the city. Birds flying are symbols of the enlivening of Adelaide and our growth towards the sky. This work was inspired by American experimental musician Laurie Anderson's piece The Beginning of Memory, from her 2010 album Homeland. The piece is set in a time before there was any earth or land, just air and birds circling everywhere. In the story one of the birds is a lark, and one day her father dies. The lark has a problem as there is nowhere to bury the body. Finally she finds a solution. She buries the body in the back of her own head. And that is the beginning of memory. Flamingos at Adelaide Zoo depicts the Flamingo Grotto, which was constructed in 1885 and is the oldest exhibit in the zoo. The grotto includes a Dragon’s Blood tree (Dracaena draco), a pond, and two flamingos. Since the making of this artwork, the Greater Flamingo died at the age of 83. The Greater Flamingo (Phoenicopterus ruber roseus) was the larger of the two and was usually seen grooming its feathers on the lawn. The Chilean Flamingo (Phoenicopterus chilensis) has pinker feathers and arrived at the Adelaide Zoo in 1948. The Flamingo Grotto has become an iconic exhibit of Adelaide Zoo, and is much loved. 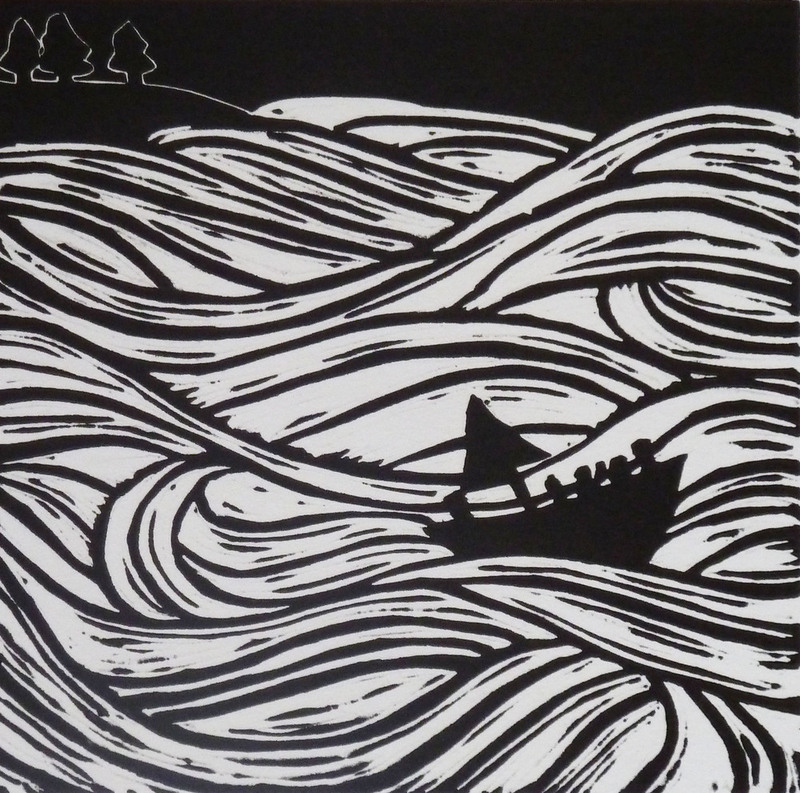 To Freedom depicts a small boat of refugees sailing precariously through rough waters. They hope this journey will take them to a freedom which they can only dream of. Please click on the artwork thumbnail to view the full image.